Going swimming with one is a daunting thought, especially if you're me. 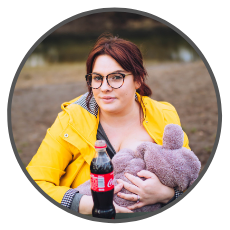 I am not the smallest of women, have a very pudgy, chubby mum tum, and Lucas was never a fan of the water so clung to me and would almost climb onto the top of my head. I swam a lot when I was pregnant, so whilst shopping for clothes for Iris, purchased the cutest, little, floral swimming costume with a tutu and just imagined how lovely it would be to see her kicking her legs and splashing around. It wasn't until the time I thought about taking Iris and Lucas swimming together, alone that scared me. I decided that before my trip alone, with a friend and her little one, I would go along with Brad, to get a feel for it and to see how Iris behaved in the water. Getting two children and yourself ready to go swimming, and then getting yourself and two very wet children dry and dressed again is just the first worry on taking the plunge to swimming alone with two under threes, but it's not as scary as I first anticipated. 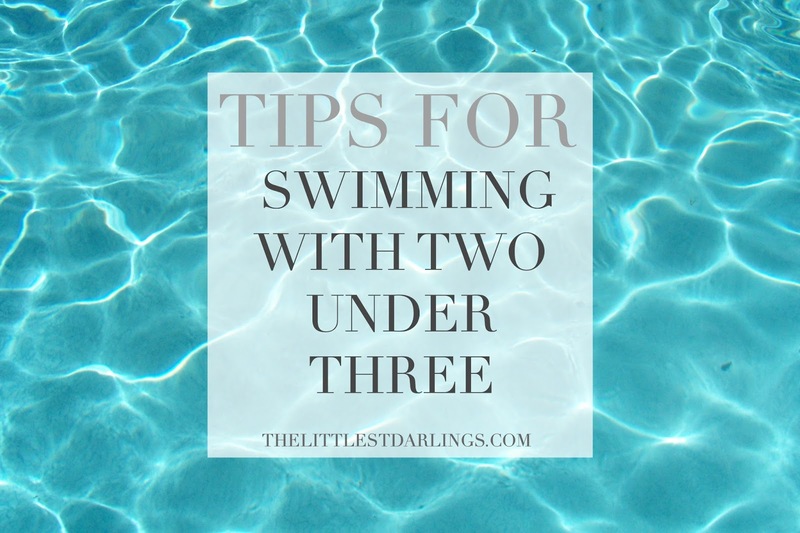 I thought I would give a few of my top tips on going swimming with two under threes, or just two children in general. 1. SEPARATE BAGS: Rummaging through a huge changing bag for clothes and swimming costumes is not what you want to do when you're also trying to keep a toddler from running off or running under someones feet, or into a shower cubical... with a potential naked lady or man. It is a pretty simple and obvious one, but one that I have learnt from. Lucas has his Cath Kids dinosaur bag and Iris has her Cath Kids X disney, Minnie mouse one. It's not only super cute to see Lucas plodding along with his back pack on and imaging Iris doing the same as she gets older but it's so much easier. The only thing I don't keep in their bags is a towel. They're not hard to locate when needed so that goes in my bag. 2. USE THE SEAT: In my leisure centre changing rooms there is a little seat for toddlers with a strap. This is so handy to sit Lucas in as I get Iris ready and then I currently lay her on a towel on a seat as she can't roll and she's in arms length of me. When Iris can hold her own head and body weight a little better, i'll play swaps and i'll sit her in the seat. Getting them ready to go swimming is so much easier and quicker than getting them dry. Once both are ready i'll then make Lucas sit on the bench as he's older, and i'll get myself ready to go in. 3. WEAR YOUR SWIMMING COSTUME UNDERNEATH YOUR CLOTHES: Sounds really patronising but I have just found this is so much easier to get ready with an excited toddler who wants to get in the pool quickly. 4. MAKE SURE THE KIDS HAVE INFLATABLES ON: Obviously you wouldn't turn your back on them, armbands, inflatable seat, ect in use, but you only have one pair of arms so trying to keep two children afloat is really tricky. Lucas has peppa pig armbands which keep him afloat really well so as Iris is currently too small to be able to use an inflatable currently, I hold her and help her, she kicks her legs, we splash, I exercise by swimming with her, and also lifting her in and out of the water, helping with my arm muscle workouts. I'm going to purchase a little inflatable seat for her when she can hold her head and body up, a little bit better than she already does. 5. IF FORMULA OR BREASTFED FEED IN ADVANCE: With an older child it doesn't matter too much, but with a non solid fed child it's a little bit different. Iris is breastfed and a little bit sicky after her feeds occasionally and I know that during the day she can go 3-4+ hours without a feed, so i'll feed her just before we leave the house so it gives it time to settle. I'll then feed her as soon as we're finished swimming. This will also mean chances are you wont have to cut your swim session short so you have to feed them. 6. SNACKS FOR AFTERS: Iris and Lucas will come out and straight away be hungry. I know that when I come out i'm hungry. I'll have to feed Iris and this will put me out of action with getting the kids dry and dressed for 10-15 minutes. I'll strap Lucas in the chair with a piece of fruit, a drink of water and maybe a pack of kiddilicious or ellas kitchen crisp snacks. Then once i've finished feeding Iris i'll go straight to getting her dry and dressed as she'll be still in a towel and then i'll do Lucas. 7. SAVE YOUR SHOWER UNTIL AS SOON AS YOU GET HOME: It's pretty much impossible to shower with one kid, let alone multiples, so just wait until you get home and jump straight in the shower and plonk the kids in the bath. 8. USE AN ELECTRONIC DEVICE: Once Iris is dressed she'll go to sleep so i'll put her in her buggy, then once Lucas is dressed its my turn. i'll set him up with youtube or netflix so he stays in one place while I chuck my clothes on, brush my hair and chuck it in my usual mum bun. The chances are if you're going swimming, you'll be going or meeting someone there, but these tips are really simple. Some may come across as so obvious and possible so simple they could be taken as patronising, but believe me, its things I learnt and some I didn't think of. Below are some photos of the kids from when we went swimming, sadly our pool doesn't allow any photography or videography in the pool, so it's just of them before in their new swimming costumes, but they were taken on my phone, so the quality isn't great. I really hope this helped you, or made you a little more confident if you have thought about swimming with 2 or more, but weren't sure. I know I wasn't.